The new iPhones have arrived, and I’ve given one of the models a spin. It’s been quite a while since I used an iOS device, so it’s time to take a closer look at the second-most widely used mobile operating system. After 48 hours with the iPhone XS I am positively surprised, but I’m also left with a few questions. 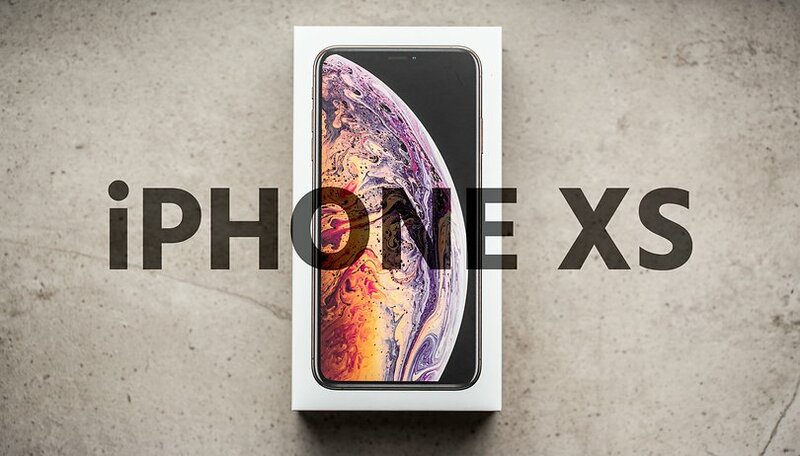 Since the iPhone X, Apple mobile phones finally look a bit contemporary again, and the iPhone XS is virtually a clone of its predecessor. I also like the look of the smartphone, the workmanship is perfect. The frame of the dark gray iPhone is quite prone to fingerprints, but I don’t mind, since such an expensive smartphone usually ends up in a case anyway. I’m not bothered by the fact that the notch is really quite wide. I have nothing against it, and in a way I even like it, but there’s hardly any room to the right or left it. Along with the iPhone XS, I’m currently using the Huawei P20 Pro, which is a bit longer but just as wide. Both of them are in cases, which of course adds on a bit to the size. Neither the iPhone XS nor the P20 Pro are really easy to grip, but I get along well with both of them just fine. There’s something about iOS that has irritated me for years: why are the controls in the UI so often located at the top of the apps instead of at the bottom, where they’re much easier to reach with your thumb? This design is pointless, especially if you consider the missing back button. The swiping gesture from the edge to the middle replaces “back” and usually works reliably. In my opinion, Apple should slowly eliminate this from the UI, which dates back to the times of 4-inch displays. I’m especially enthusiastic about Face ID. I’m a great friend of the fingerprint sensor and was more than skeptical about whether the face recognition is really good in all situations. With the Huawei P20 Pro, this works great in bright light, but in the dark it’s really annoying that the display is turned up to the max to illuminate your face. Apple doesn’t use this feature, and Touch ID actually works without any problems. It’s fast enough and convenient enough. The recognition always works unless I close my eyes, but I don’t have to hold the smartphone in front of my face. Nice work, Apple! The iPhone XS has great performance. The smartphone runs totally smoothly and fast enough. The P20 Pro and other top smartphones seem a bit more ragged overall, since with Apple everything is more comfortable and sedated and less hectic. This may also be due to the fact that iOS uses longer and elaborate animations in order to make the transitions in the system particularly smooth. I like it. After my long iOS break, I’m still amazed at how old-fashioned the surface of the Apple system looks. There really hasn’t been much progress in all these years, and in terms of optics iOS doesn’t really appeal to me at all. I find the layout of the system settings in many places so illogical that I wanted to my head against a wall. There’s hardly any structure! Really Apple, what’s going on here? With the Huawei P20 Pro and the iPhone XS, I now have two of the most exciting camera smartphones in my pocket. I haven’t directly compared the pictures yet, but the iPhone XS is fun to take pictures with. But the zoom of the P20 Pro is missing more often than I thought. As with all smartphones that offer live photos, I switched them off immediately. I really don’t see any sense at all in these mini-sequences for photos. I am positively surprised by the iPhone XS’s battery. I have a SIM in my smartphone, with Wi-Fi and Bluetooth permanently active, and at least some of my social media accounts already set up. Still, I didn’t have to charge the battery until after a day and a half, and it was still around 30 percent. I had expected less, I admit that. As an old Lumia fan, I’m also happy to have another smartphone with wireless charging, which is lacking in the P20 Pro. Using something other than Android is also nice. Do you have specific questions about iPhone XS that you want me to answer? Let me know! Apple really need to make some important changes to UI and keyboard. specially back gesture from right to left which is more convenient for right thumb and back option at bottom. That is hardly a glamor shot of the phone. Looks like a glorified old-time cigarette case with a cancerous branding mark.